If a license is no longer required on a machine, then it should be de-activated. This allows it to be assigned to another machine. From the menu select the menu item Help->About. 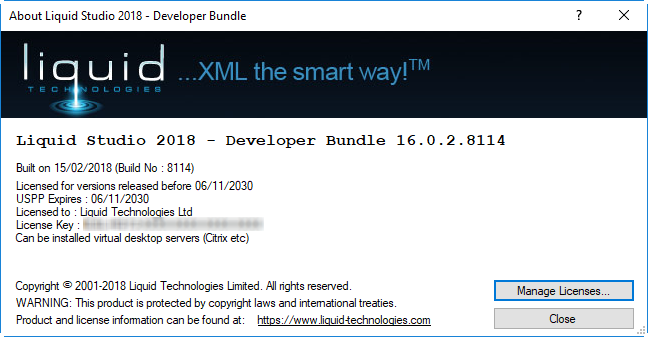 Click the 'Manage Licenses...' button. Select the 'Deactivate a License on this Machine' option and press 'Next >'. This option is only available if a valid license is installed on this machine. 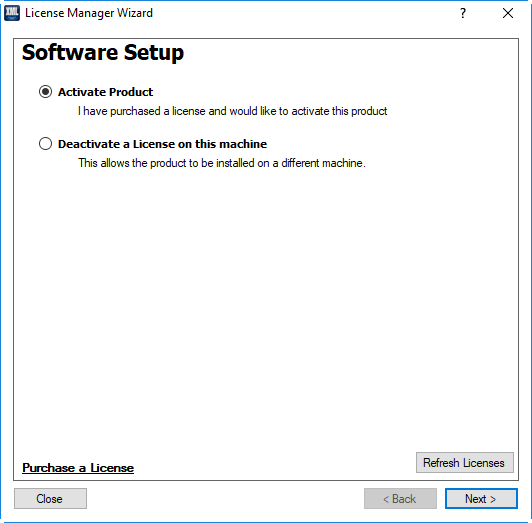 The ' Deactivate Product' dialog shows the license that is activate on this machine. Click the 'Finish' button to de-activate the license and you will be asked to confirm you want to de-activate the PC. The application will be closed once the de-activation is complete - so ensure any work is saved. 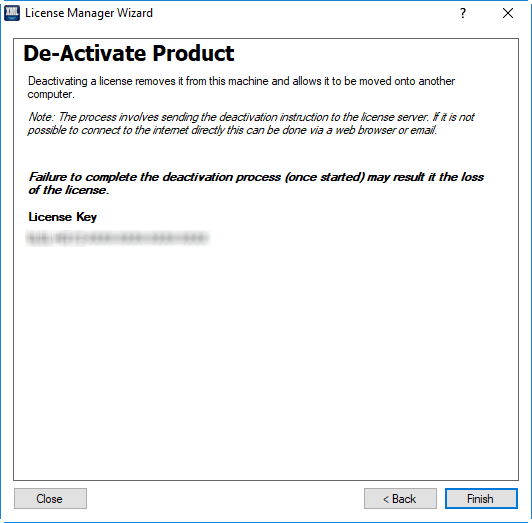 The De-activation process removes the license from the computer and lets the license server know that the license has been released, so it can be re-assigned to another PC. This process is normally done behind the scenes without user intervention. However if the license server is not reachable then this MUST be done manually - see Manual Deactivation. Failure to complete the deactivation process will result in the lost of the license. Lost licenses can only be retrieved by contacting support.